1 What is Pityriasis Alba? 2 What Causes Pityriasis Alba? 3 What are the Symptoms of Pityriasis Alba? 5 What are the Treatments for Pityriasis Alba? Pityriasis Alba is a skin condition that commonly happens to children and to young adults, but any person can acquire it as well. 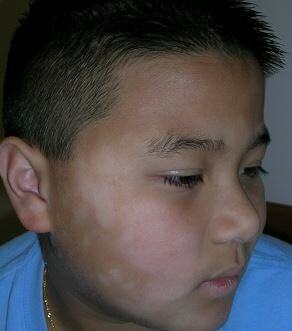 Based on studies, the skin disorder is often seen in children ages 6 to 12. It is distinguished by the presence of scaly, oval or round in shape patches that are commonly lighter than the normal skin tone and are more visible in individuals who have darker skin. People with darker skin are more at risk of having Pityriasis Alba and even those children who have asthma, xerosis, and allergic rhinitis. At first the patches may appear pink or red in color and are also flaky. 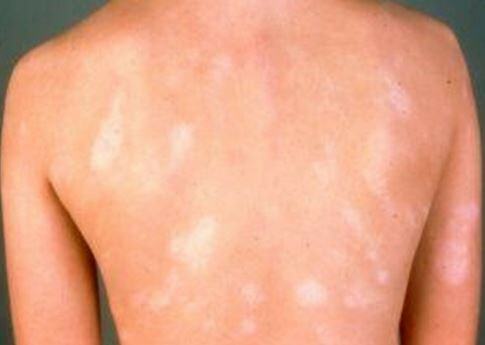 Pityriasis Alba is also correlated with another skin condition called eczema which still causes an itchy, scaly rash. The appearance of the patches might be bothersome but they are not at all dangerous nor are they contagious. These patches will subside after some time as the patches slowly fades and the skin color returns back to normal. There are still no precise information as to what causes Pityriasis Alba but as specified by a 2009 review that was published in Pediatric Health, this skin condition is usually deemed as a mild form of eczema or atopic dermatitis. Eczema is almost identical to an allergic reaction since the cause of this condition is the certain reaction that the body’s immune system responds to. Even so, allergies are not the cause of eczema but individuals surpass this condition along with Pityriasis Alba as they reach early adulthood. 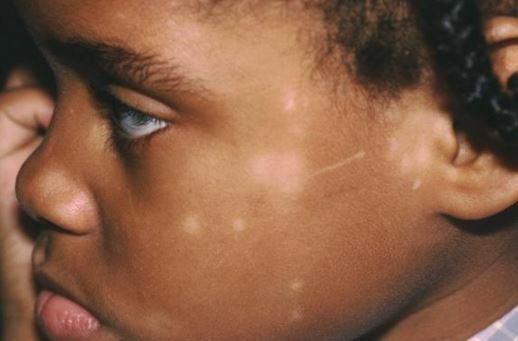 In spite of the fact that Pityriasis Alba has unknown exact causes, there is still some observations that the patches pops up after a child’s exposure to the sun with the lack of sunscreen protection, heavily scented soaps or detergents, smoke, stress or in children who often take hot baths. Despite the observations, it is still unsure if these factors really cause the disease. Individuals with Pityriasis Alba undergo patches that are either oval or round in shape and red or pale pink in color. The patches usually appear on the face especially on the cheek. Other than the face, the patches may also appear on other body parts such as; neck, upper middle of the body, and the upper arms. At first, the red or pale pink spots are clearly visible that commonly measures 1-4cm in diameter. 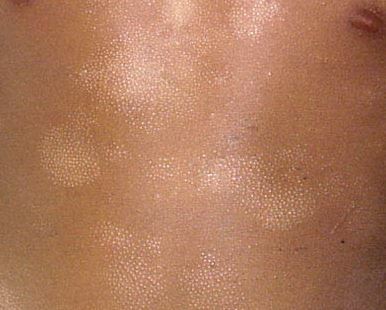 People with this skin disorder might also encounter flaky skin or scales. Every so often, Pityriasis Alba begins to be slightly itchy and the pink patches later become lightened patches of the skin. The patches are usually more evident during summer since the surrounding skin turns darker or tanned due to the sun exposure since the patches will not be tanned as well. The use of sunscreen will make the patches less visible in the months of summer. A physician can usually tell whether the person has Pityriasis Alba or not by just the sight of the patches on the skin. Occasionally, the physician will have to slightly scrape the surface of the patch in order to examine a few skin cells. The reason for this is for the physician to rule out other possible problems of the skin. What are the Treatments for Pityriasis Alba? People with Pityriasis Alba do not usually need any treatments since the patches eventually fades in due time. Nevertheless, the patches might come back and the child has to use creams again but mostly the patches go away for good during adulthood. Sometimes the pink spots may turn into white patches after a few weeks and completely disappear within a couple of months, but in some cases it can last for several years. To make sure that no fungus or yeast is currently there, the physician will first examine the scraped scales first under a microscope since Pityriasis Alba is not caused by infections. The procedure is called KOH preparation which means that the person should be negative of this if Pityriasis Alba is present. Until the condition is mild and does not last for a long time or spread all over the body, no treatment is compulsory but the physician may still recommend the use of cream or a moisturizer to avoid dry skin. If the patches become itchy, talk to the physician first about the medicine that will work best. Hydrocortisone, which is a weak steroid, might be suggested by the physician to relieve itching or irritations. For much worse cases, ultraviolet light therapy which is a PUVA treatment may be considered with the use of psoralen drug to be taken by the patient before being exposed to UVA. Pictures, Photos and images collection of ptyriasis alba. If none of these self-care measures work or the condition seems to worsen, call the physician right away. Faye O, N’Diaye HT, Keita S, Traoré AK, Hay RJ, Mahé A (2005). “High prevalence of non-leprotic hypochromic patches among children in a rural area of Mali, West Africa”. Leprosy review 76 (2): 144–6. Dogra S, Kumar B (2003). 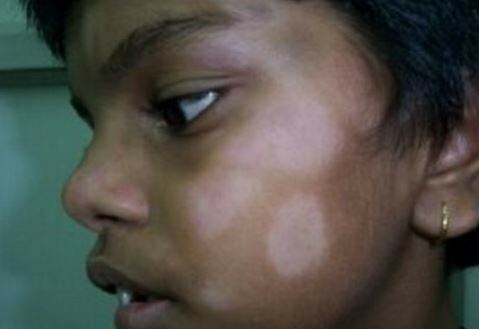 “Epidemiology of skin diseases in school children: a study from northern India”. Pediatric dermatology 20 (6): 470–473. Freedberg, et al. (2003). Fitzpatrick’s Dermatology in General Medicine. (6th ed.). McGraw-Hill. ISBN 0-07-138076-0.